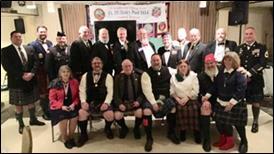 Post 1854 Burns Dinner. R: PC Dennis Harvey welcoming remarks. 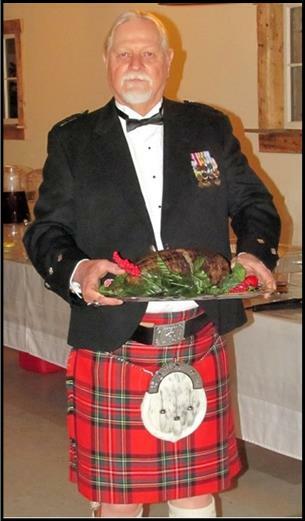 L: Mike Bulger presenting the Haggis. R: Britt Stouffer receiving Veteran’s Service Award. 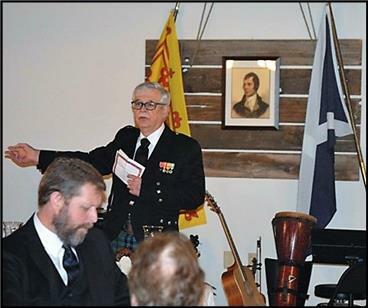 23 Feb Posts from the Mid-Atlantic supported the St. Andrews Society of Mid-Maryland’s Burns Night Dinner in Urbana. 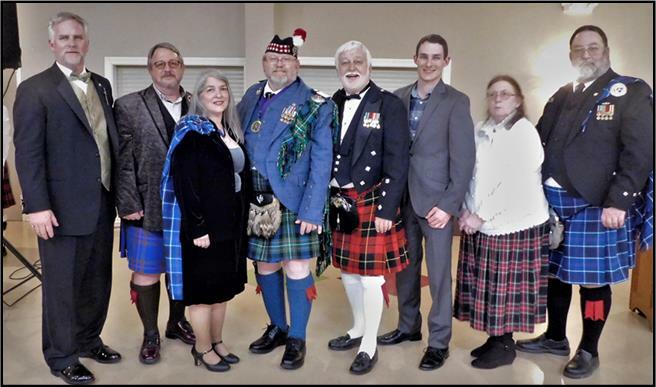 L-R: Post 2 Mark Wardlaw, Bill Elliott, Marianne Elliott, PC 1739 Erick Ferguson, RC/ PC 2 Ralph Wallace, Post 2 Shane Phillips, 1814 Harriett Dull, PC Bruce Dull. 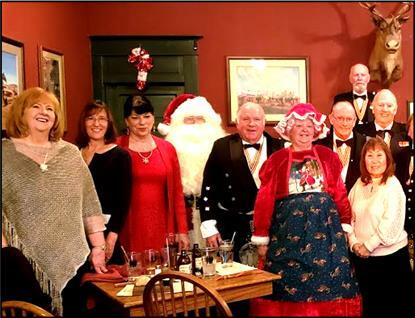 Kilt Night, 5 Dec. Post 1814 collected gifts for a children’s shelter. 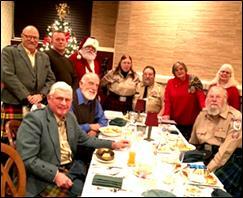 L-R: Ray Buchanan, Dave Ricklis, Philipp Theune, Tyree Lewis, Santa Bill, Harriett Dull, Bruce Dull, Susan Buchanan, Kay and Bill Morice.